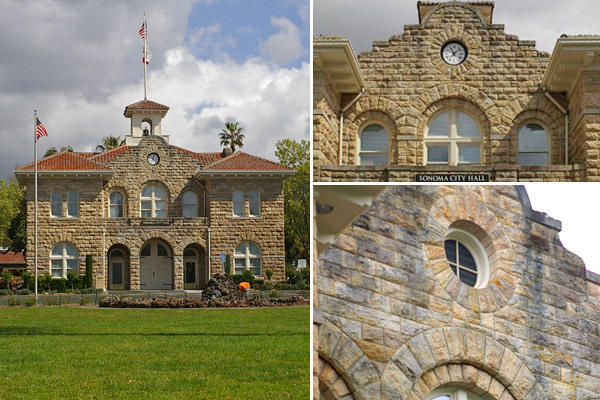 The Sonoma City Hall project involved the seismic stabilization, exterior restoration, and interior remodeling of a two story circa 1906 stone building housing the City of Sonoma’s administrative offices. TFA worked closely with the City’s administrative staff to develop a needs analysis, building program and overall budget for the project. After installation of steel seismic bracing, a complete reconstruction of the building’s interior created a modern facility for City staff and the public. The restoration and remodeling were accomplished while preserving the original historic character of the building. Stonework was repaired and replaced, building systems were upgraded and historic elements were restored to their original condition. TFA provided economical design solutions while preserving an iconic building of great significance and identity to the local community.